Can I Be Disinherited From An Estate? 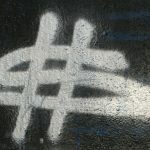 We all have seen courtroom drama play out on our favorite television show about how close family members are disinherited from receiving the family fortune. But then we wonder if that is really legal and will it be upheld? Estate planning attorneys often receive such inquiries during consultations and examine how to accomplish the client’s goals. In Maryland, if someone should pass without planning, the laws of intestate succession control distribution. These statutes specifically state down to the last degree who will receive your property. However, it is recommended to execute a Will or Trust to select who is in charge to administer your estate and who will receive distributions. Insodoing, you have the opportunity to state if you do not want a specific family member to inherit. Recently, there have been reports that boxing legend, Muhammed Ali, may have had a disinheritance clause in his planning documents due to strained family relations. His estate plan has yet to surface, but it is expected that he will have very detailed planning as he was married four times and had several children. Estate documents can be drafted to exclude even unnamed children, in case claims should surface regarding parentage and defeat any statutory heirship applications. Of course, individuals can contest through probate courts the validity of such clauses, but success will depend on various circumstances, such as DNA testing or the execution date of the documents in proximity to the mental state of the decedent. It is important to note Maryland law disfavors the disinheritance of a spouse and there are laws to force a share of the probate estate to the surviving spouse. There are cases where even non-probate assets may be subject to spousal claims and recent legislation may change the current limitations on spousal shares. 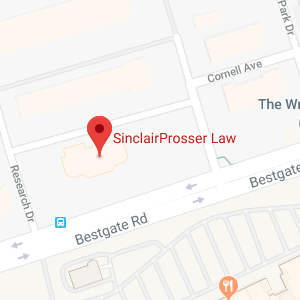 Working with SinclairProsser Law will help ensure you protect your family and leave your assets to the desired recipients. 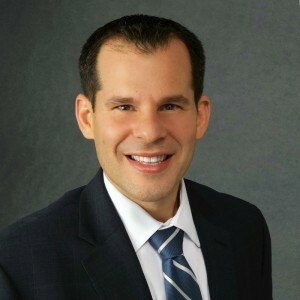 Victor Lembo became interested in estates and trusts while helping his grandparents plan for their medical and financial needs.He joined SinclairProsser Law to focus his practice on estate planning and administration where he currently manages the Estate Administration Department.